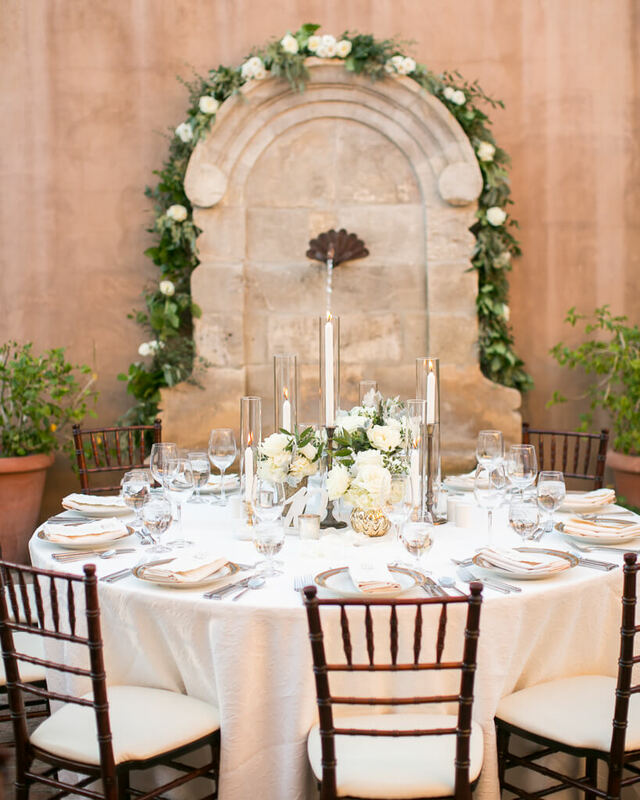 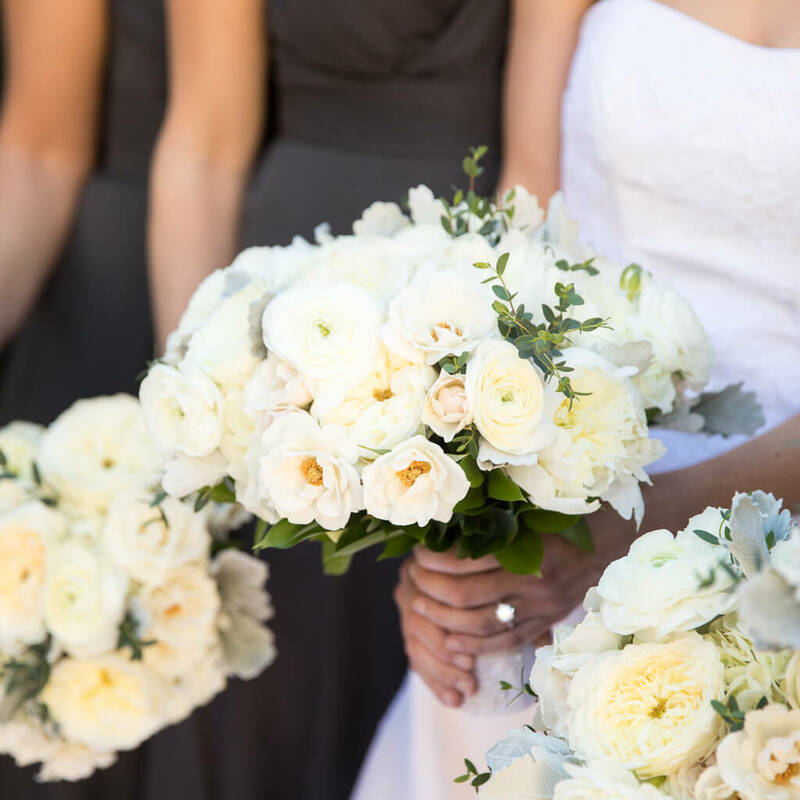 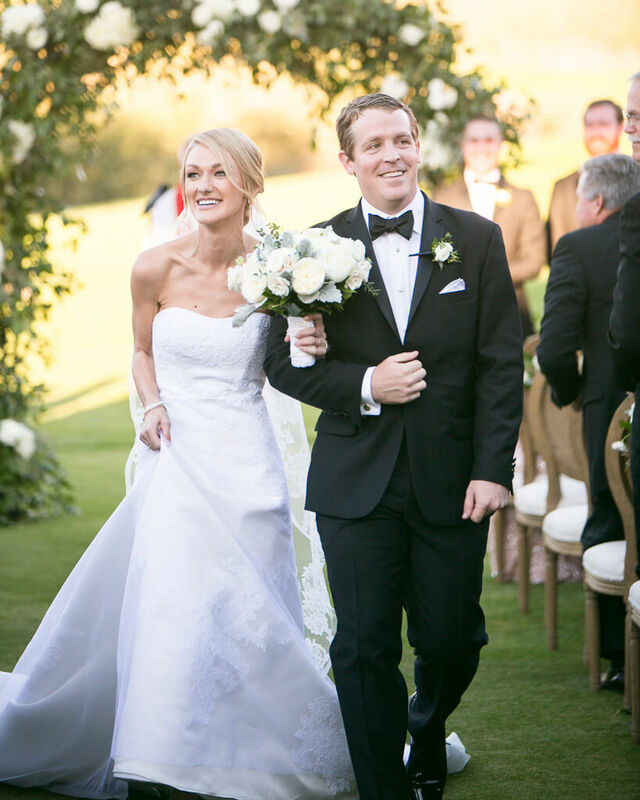 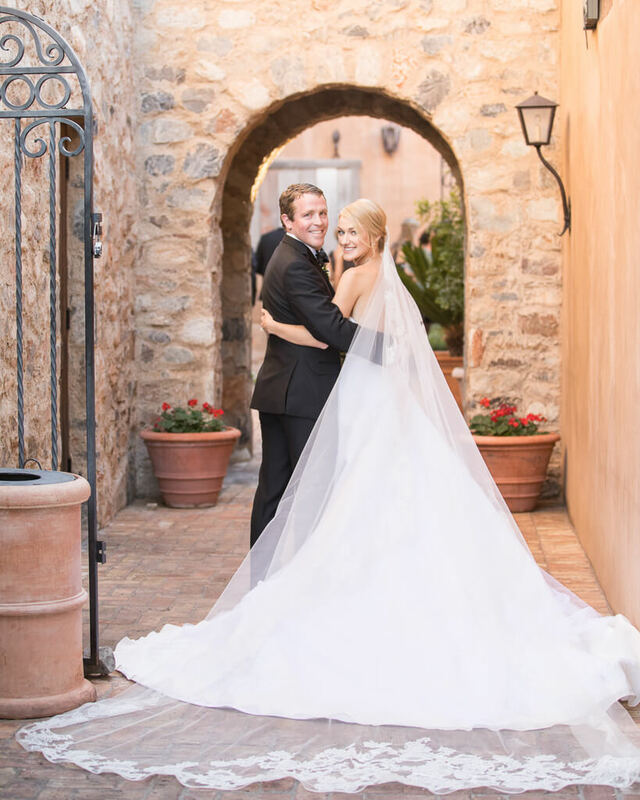 Since Julie and Alex had an Italian proposal, it was only fitting that they chose to exchange vows at a Tuscan-inspired venue in Scottsdale, Arizona. 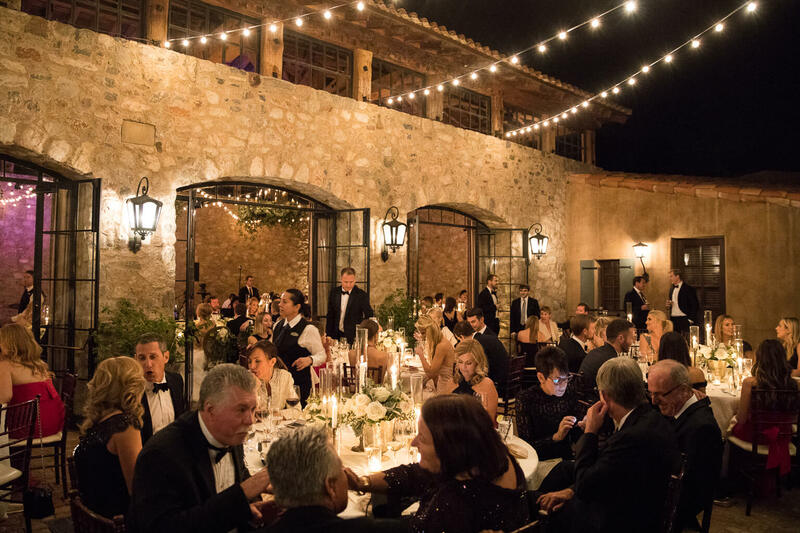 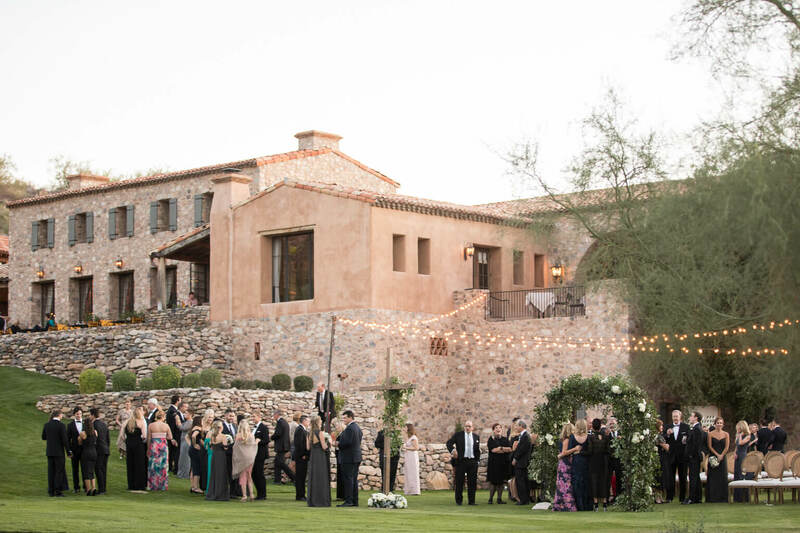 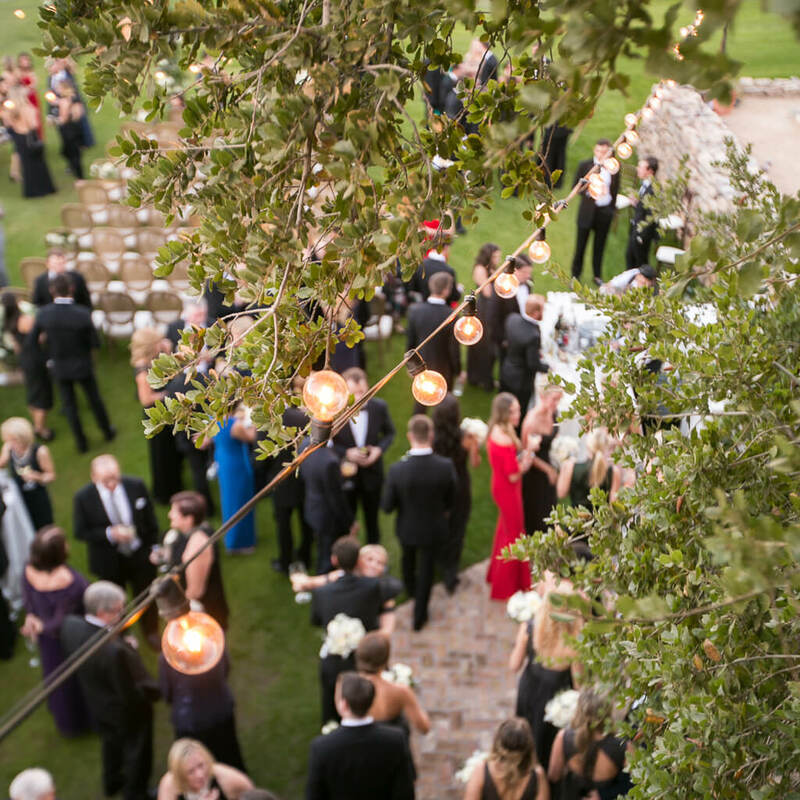 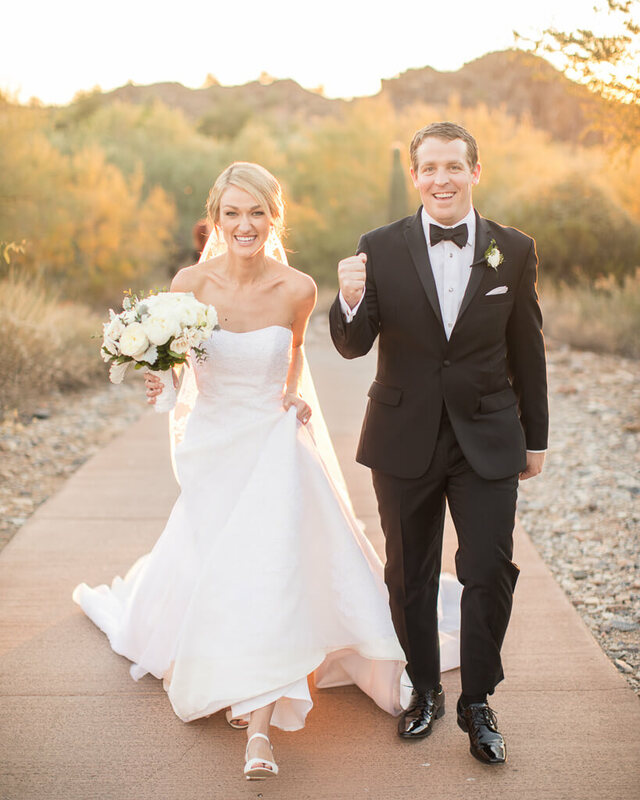 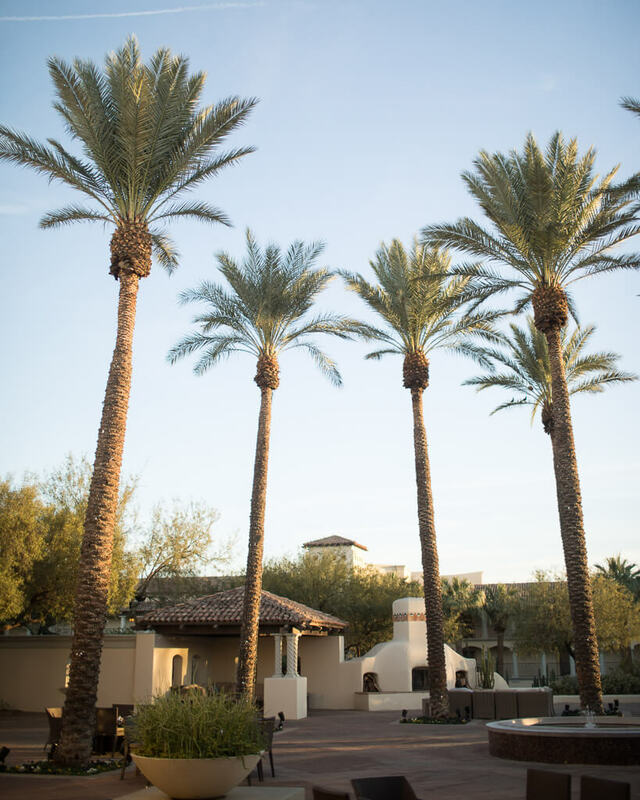 Tucked into the canyons of the McDowell Mountains, the private Silverleaf Club provided the perfect romantic setting for the November nuptials. 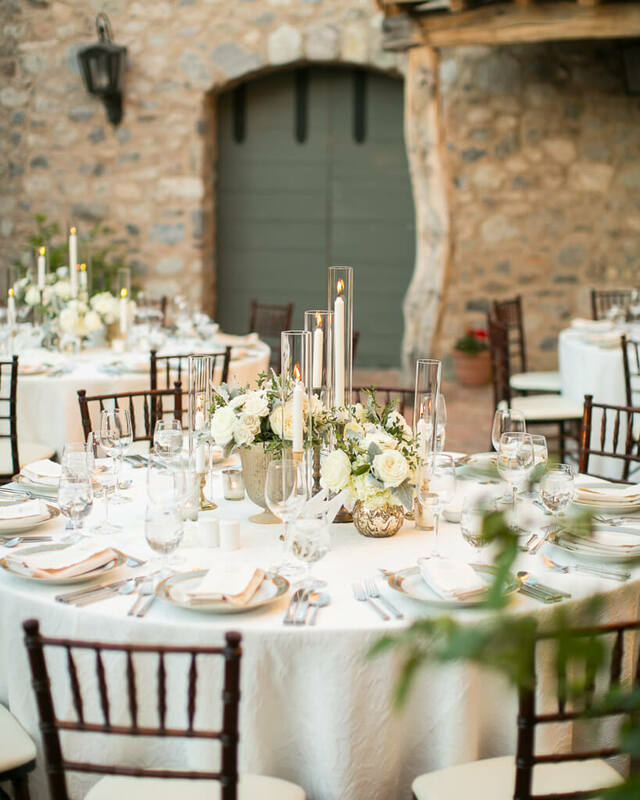 The stone walls, calming fountains, and wood beams of the property offered an unparalleled setting with an ambience reminiscent of the Italian countryside. 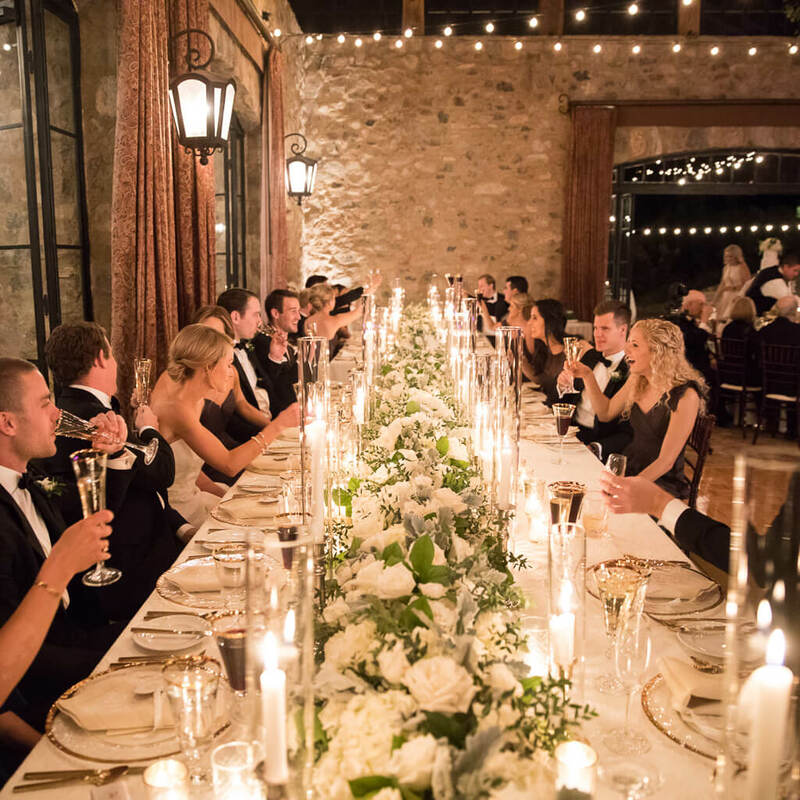 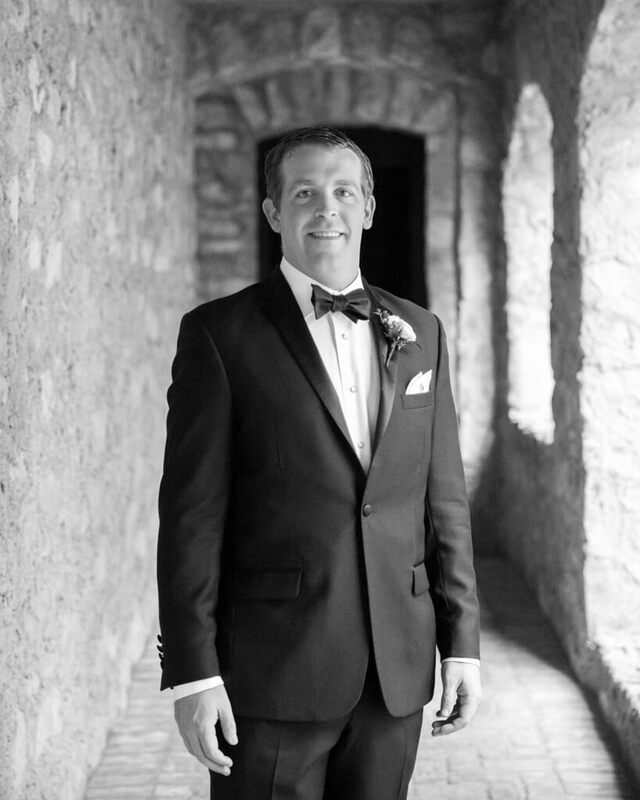 The couple worked with Imoni Events to plan their black-tie wedding celebration. 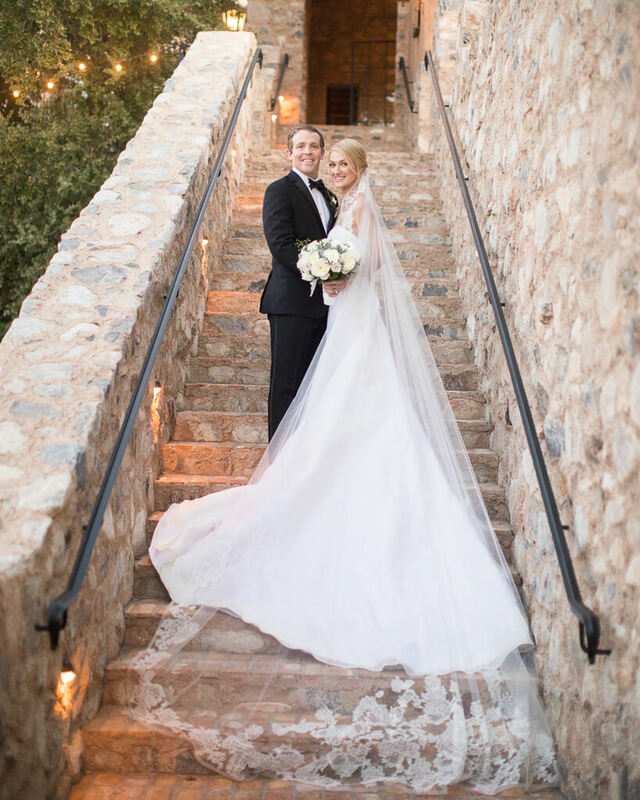 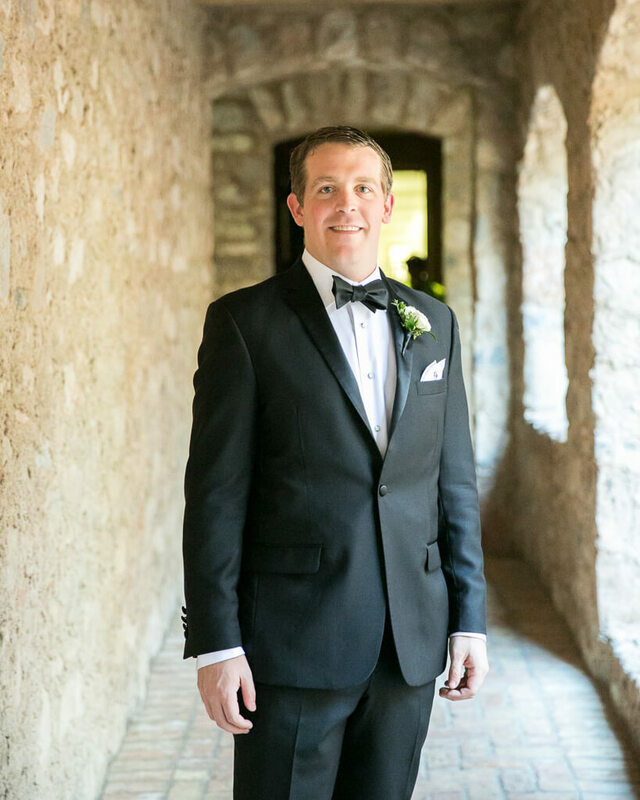 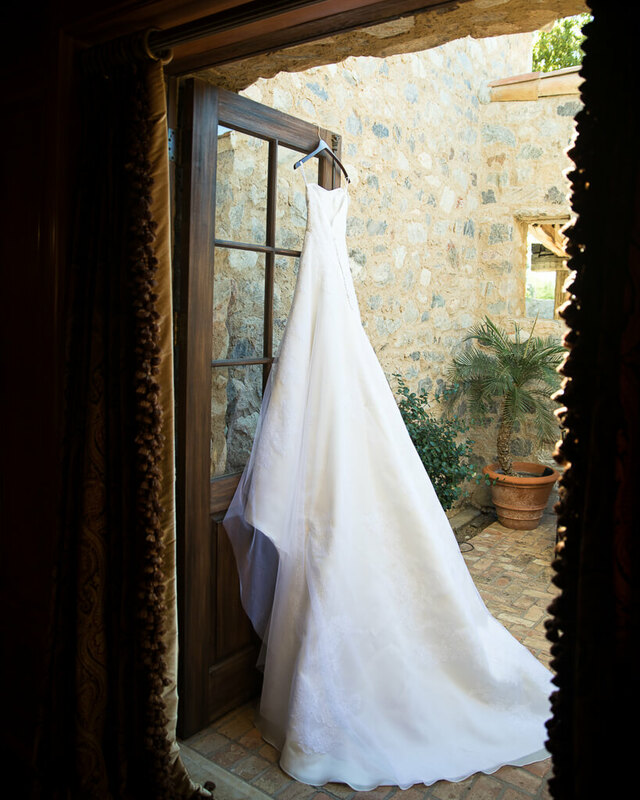 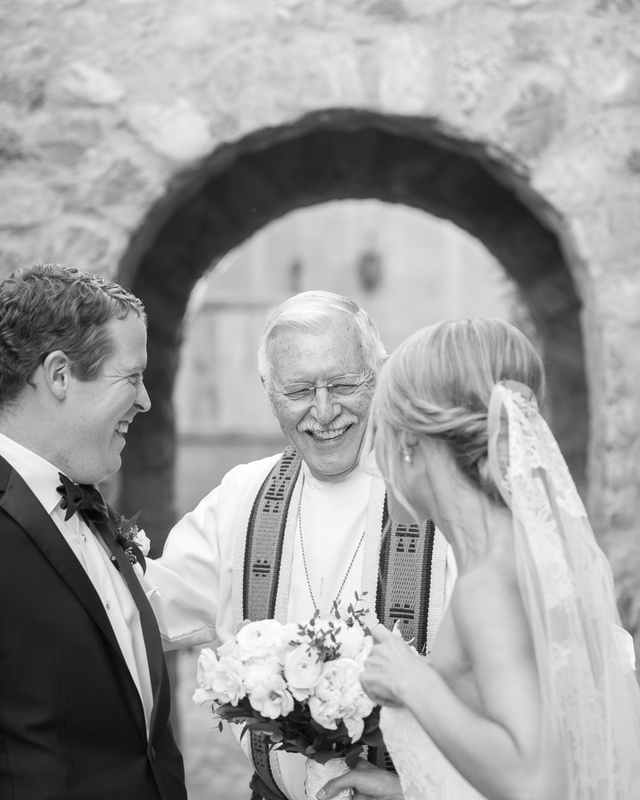 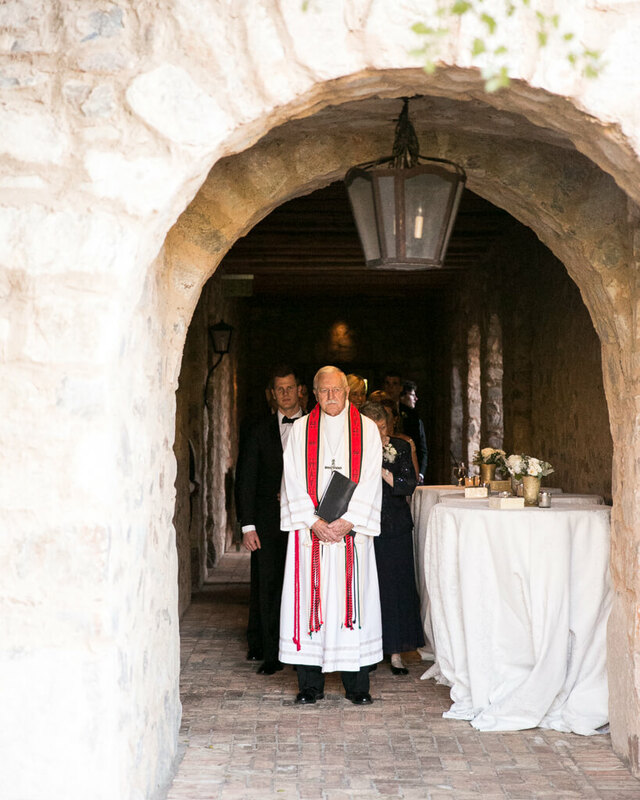 On the evening of the ceremony, the bride walked down the stone steps of the venue in a custom strapless gown by Nardos Design on the arm of her father to meet her beau beneath an arch of greenery. 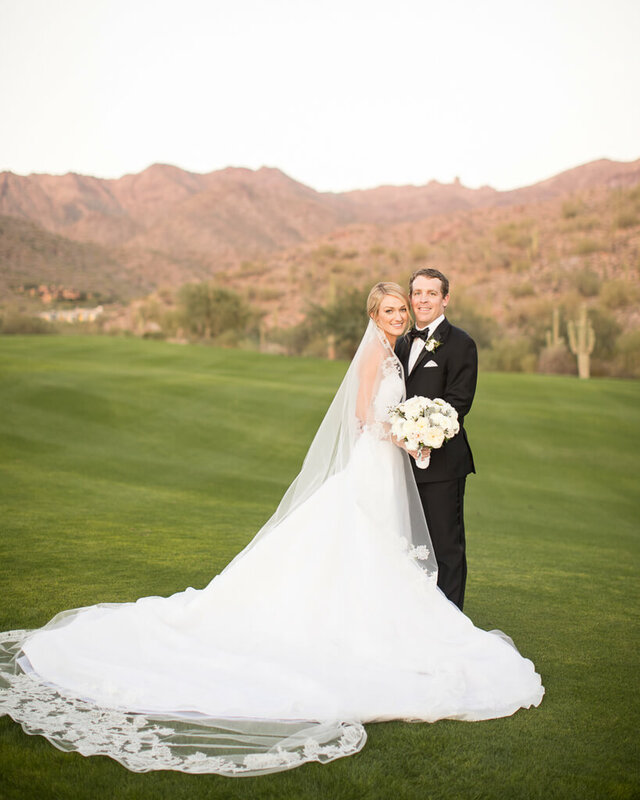 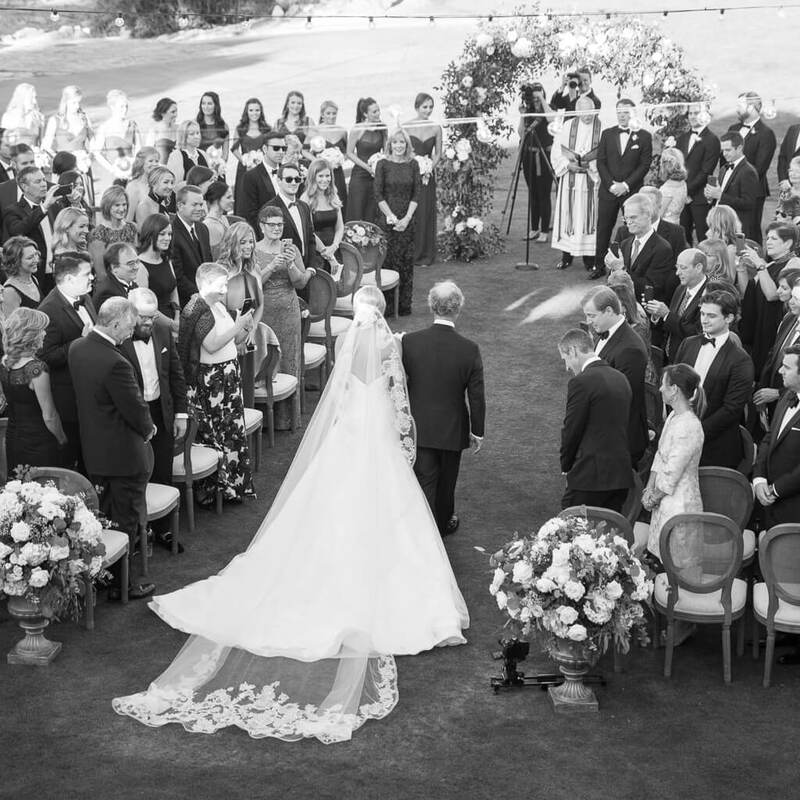 They exchanged heartfelt vows as loved ones watched from elegant cane-back chairs on the pristine lawn. 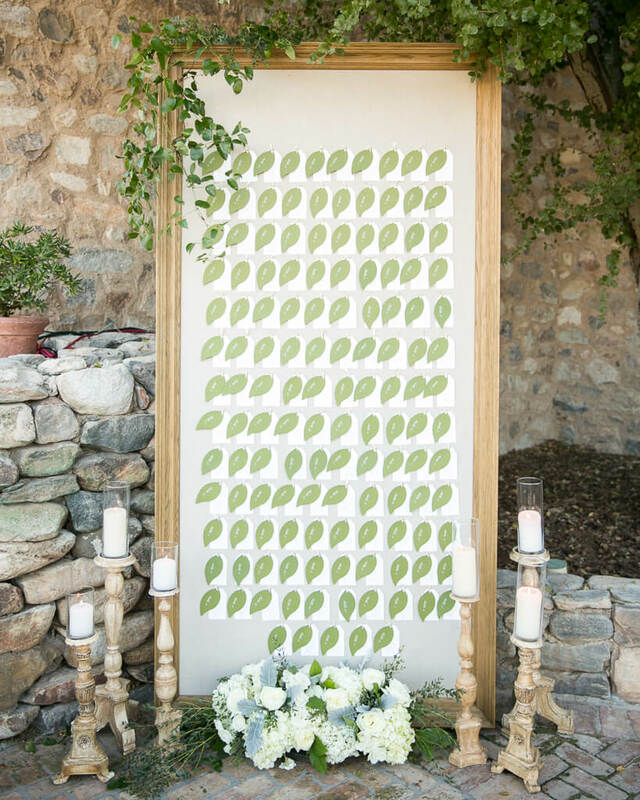 Attendees then found their seating assignments on a display showcasing a leaf motif for the dinner under the stars. 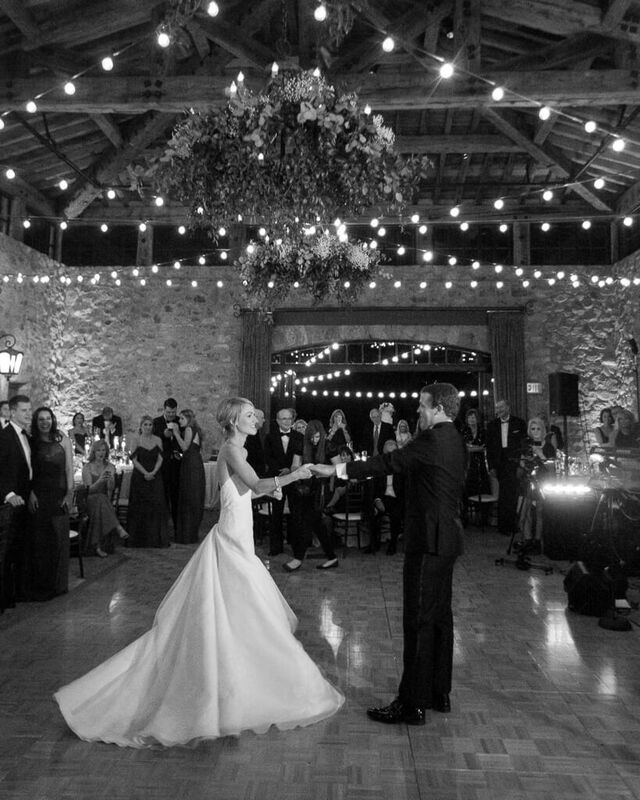 Bistro lights provided a romantic Italian ambience, while chandeliers adorned with verdure were suspended over the dance floor. 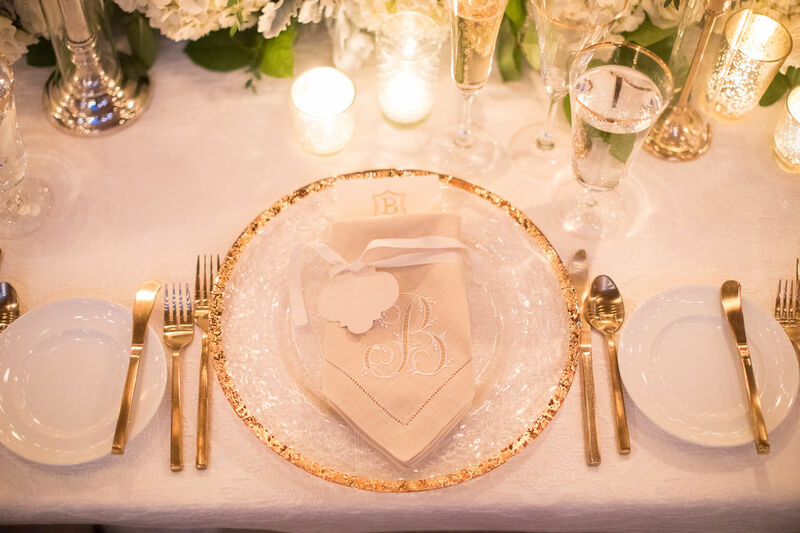 Each guest’s place setting featured a sophisticated gold-rimmed charger, golden flatware, and a monogrammed linen napkin. 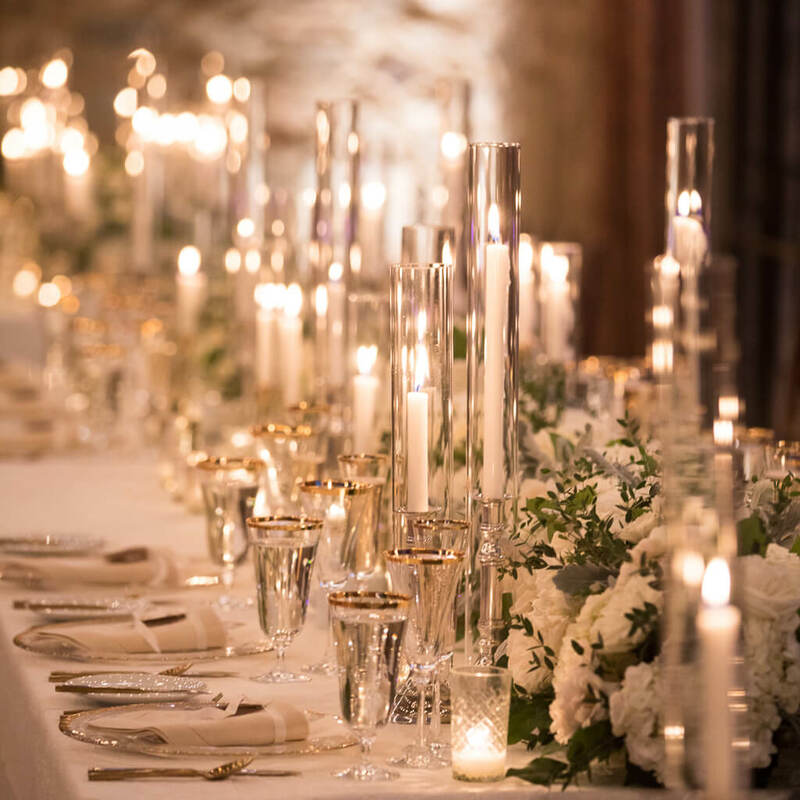 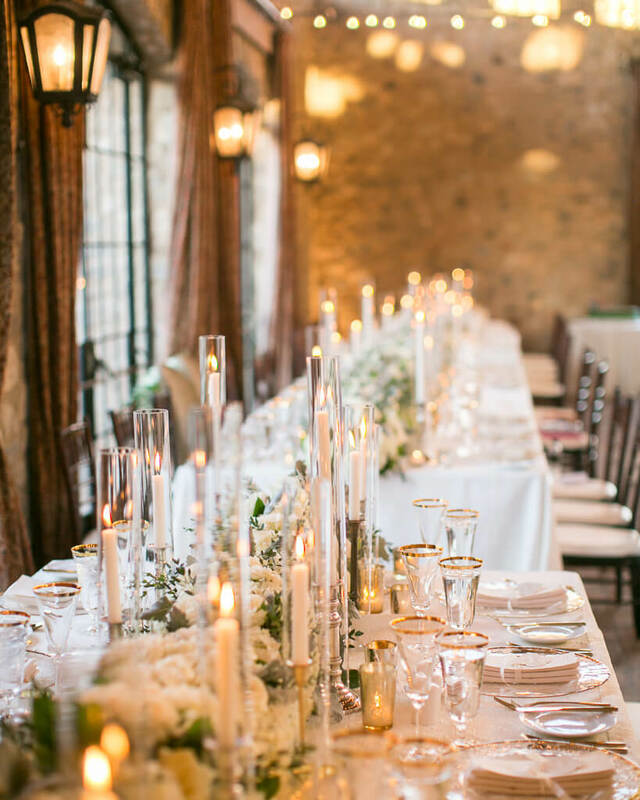 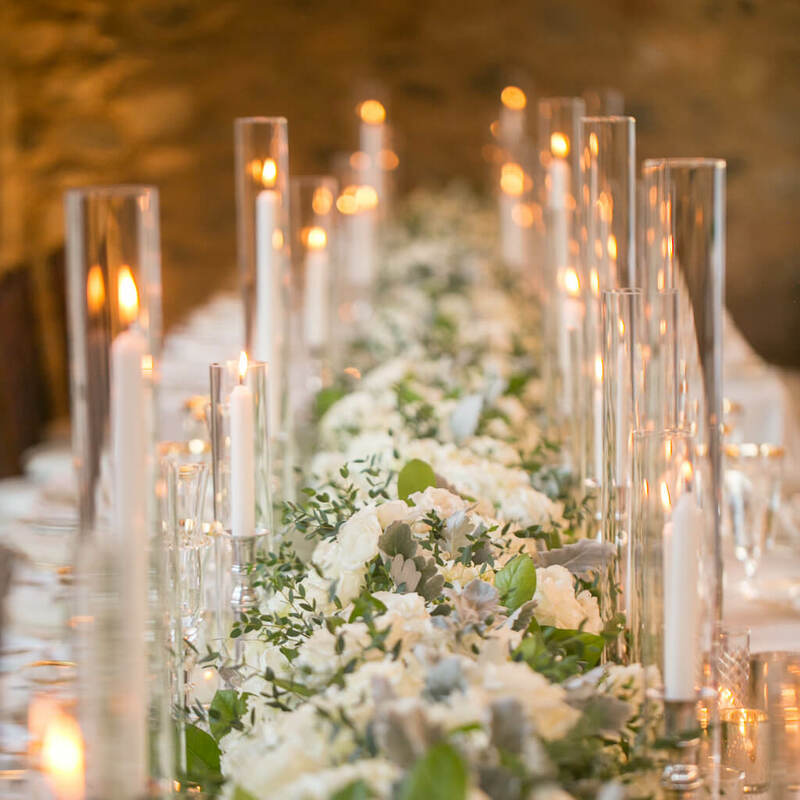 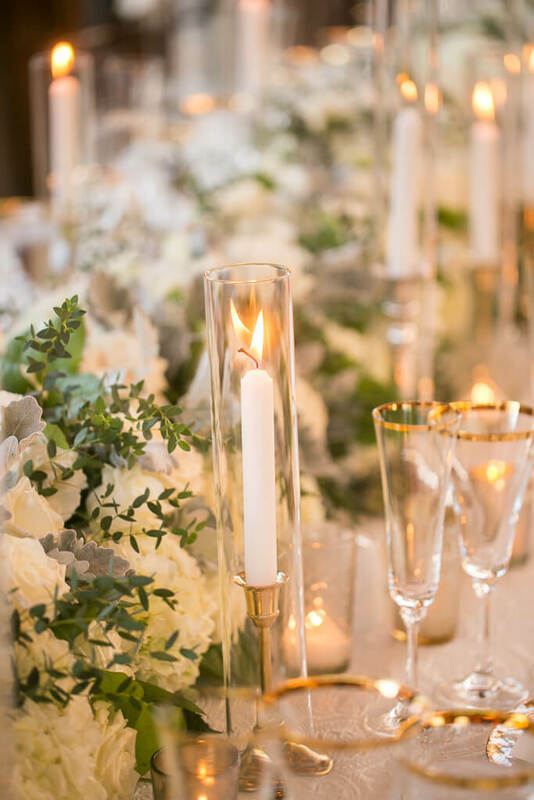 Low arrangements of ivory blooms and taper candles atop gilt stands decorated tablescapes. 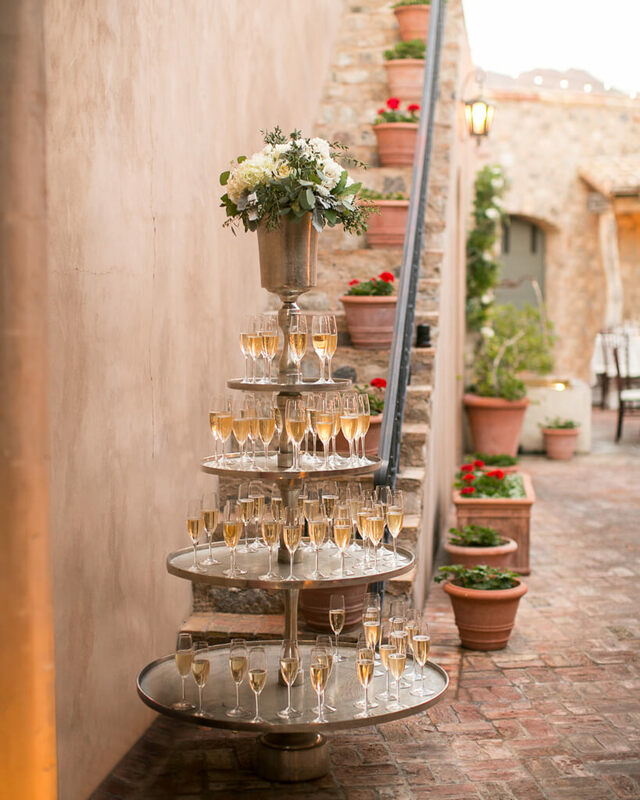 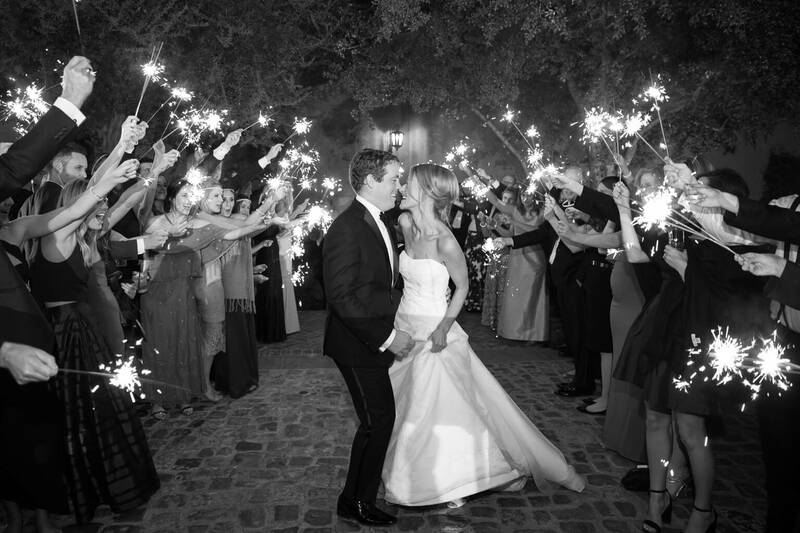 The night continued as slices of a five-layer wedding cake adorned with fresh flowers were enjoyed before the newlyweds departed with a sparkler exit.